Money Pots That Set All Your Project And Gift Ideas In Motion! Leetchi.com is the leading European service for online group money collection. Its easy and secure interface allows anyone to create a money pot and invite other participants with the aim to finance any type of project. 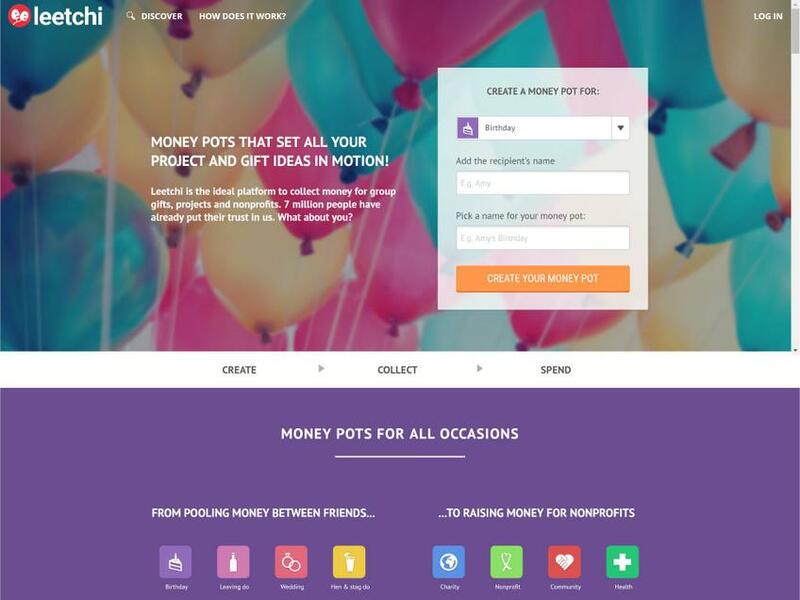 With Leetchi money pot you can turn a projects into a reality from buying group gifts (for birthdays, leaving dos, weddings, baby showers etc. ), organising events to supporting charitable causes and much more. Il servizio di raccolta quote online sicuro e pratico, a portata di click. Get Money. Send Money. Forget Cash.